I'm actually not a huge Ace of Cakes fan. Don't get me wrong, I watch the show here and there and think that they are amazingly talented but when I saw this small section I scoffed at it. 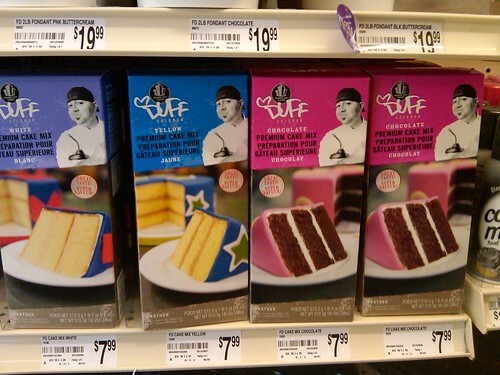 There's something about a chef branding their names on products that leaves a bad taste in my mouth. Kind of reminded me of Rachel Ray's line of olive oil she branded as EVOO. Makes me want to hit something. And you can see from the prices... this stuff ain't cheap. 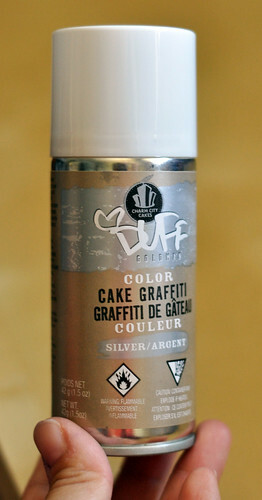 After browsing through and making fun of the products, I decided to buy one of the cans of the "Cake Graffiti" just so I could prove how useless it was. On the post I did on my friend Jae's decorated cookies I sprayed it over the finished cookie. You can see what the black looked like before (the top one) and after (the bottom one) the spray. 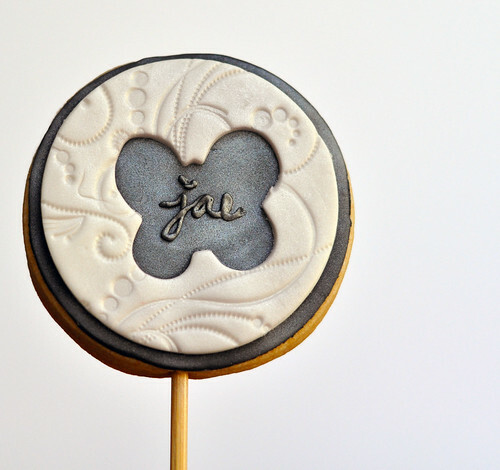 It gave it a nice silver shimmer to the fondant I used to decorate the cookie with. For the white it didn't show up quite as well. For some reason the white didn't soak in the spray as much as the black. When I sprayed too much it ended up just floating around on top of it. Even though I thought it was an unnecessary product, I have to admit... it's pretty convenient. I don't have an air brush machine so these graffiti paint cans (completely edible, of course) comes in pretty handy when you want to give a quick shimmer or color to a cake or decorated cookies like I did. The normal way to achieve this shimmery look would be to either dust it with Luster Dust or paint with the Luster Dust and alcohol. 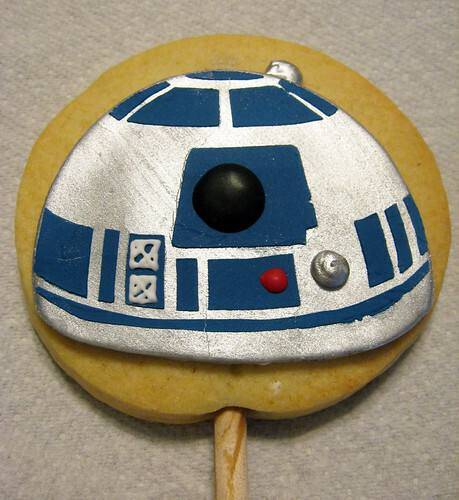 Then it would have more of an intense metallic look like this R2D2 cookie I made a while back. 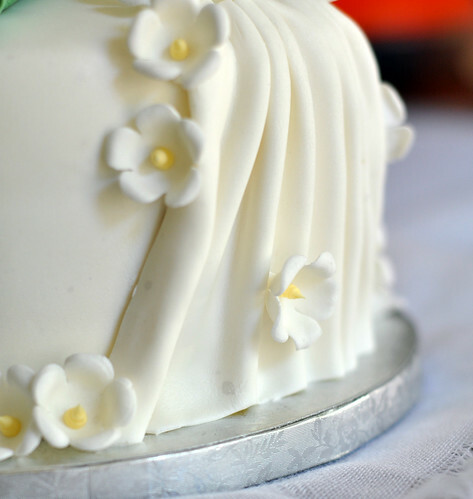 I also used it to give it a little shimmer to the wedding cake I had made recently. I wish they had a regular shimmery one and not the silver. It ended up tinting the cake a little gray in the process but it still added the shimmer I was looking for. One word of caution though when using the graffiti: be careful when you get to the last bit of spray in the can because it starts to sputter and there are these little dots that end up on whatever it is you're decorating. 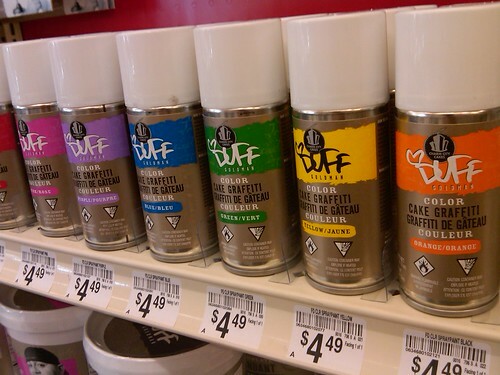 Other than that, I'll give Duff's Cake Graffiti a Spatulas Up for this convenient tool. haha, your "spatulas up" comment made me laugh. I was thinking a Rubber Spatula but and Offset works just as well! Haha!! I just bought some red cake graffiti. I searched to see if I could use this on fondant. 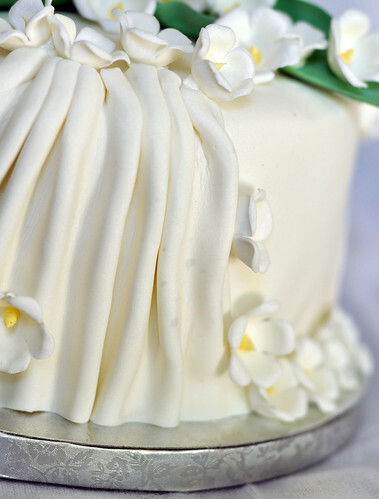 I guess I can according to your wedding cake here. It's really pretty and I like the green wires you used too. 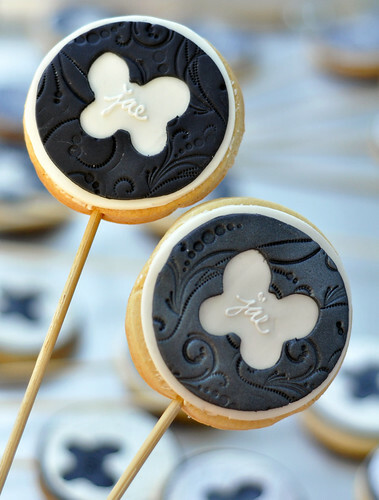 Next time, try inserting the ends in a little fondant glue and then put the yellow part on. That might work. Fondant glue is a little bit of glue melted with a dab of water. I want to spray the red on a fondant bow I was asked to make. Do you think the spray will color my bow well or should I just tint my fondant/gumpaste and forget about the red? I already bought it though. azcat2002 at msn dot com thx!! Hi I am making star chocolate molds and I was wondering you recommend the spray or the dust paint. Silly question, what type of alcohol are you using with the dust?